Geographical Region: They are found in an area from southeast Georgia, west to Texas, north to Iowa and Indiana. Size: Can reach more than 26 inches. Habitat: They like deep waters in rivers and lakes. 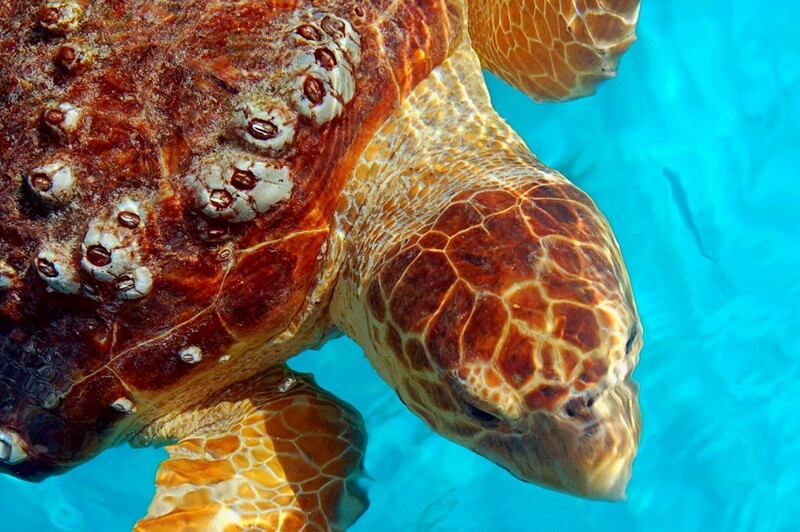 Food: Carnivorous, they eat anything they can catch, even other turtles. Interesting Fact: They are the largest freshwater turtle in the world. Are they known by other names? They are known by Alligator snapping turtle. 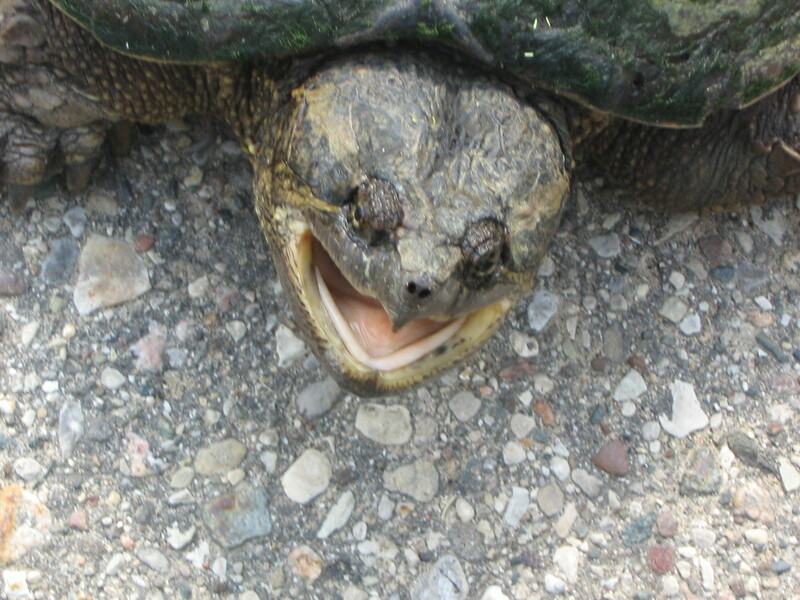 In some parts of the country they are also called as snapping turtle as well. That said, there is major difference between a snapping turtle and alligator snapping turtle. The later is much heavier in size and have a tremendously powerful jaw. The jaw bone is of very high strength. They live in fresh water and are only found in the lakes, rivers of the United States. The scientific name is Macroclemys temminckii. 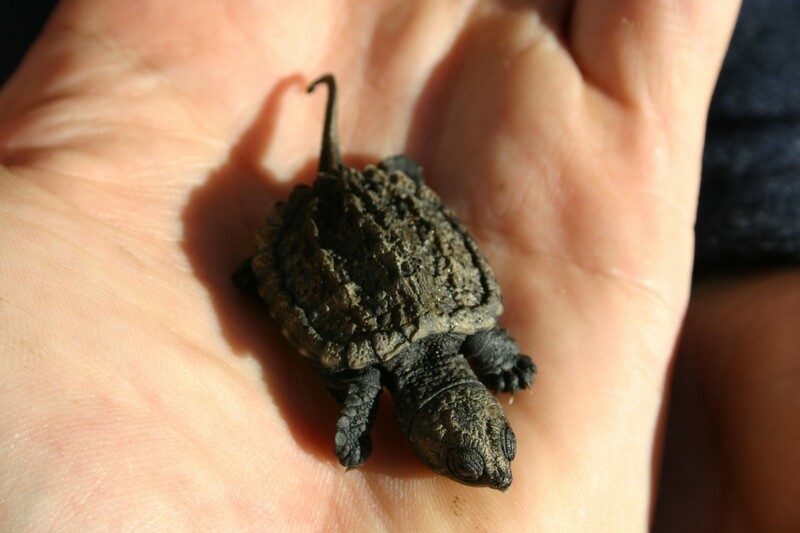 It is often confused with common snapping turtle but they are entirely different Pisces. The name temminckii has been given to honor the Dutch zoolist Jacob Temminck. They were first spotted in 1835. The alligator snapping turtle are the only living member of the genus Macrochelys. Like most turtles this class of turtles too is capable of living a very long life. Although the actual life span is yet to be confirmed by any scientist, it is believed that they are capable of living even up to 200 years. Some community suggest that the actual life span is anywhere between 80 years to 120 years. However, the most accepted theory is 20 years to 70 years. They are one of the heaviest in the turtle community. There have been evidences in the past that they can be very hefty. For instance, a 180 kg and a 113 kg alligator snapping turtle were found in the year 1937 and 1999 respectively. Typically though the average length of alligator snapping turtle is anywhere from 40.4 cm to 80.8 cm. However, turtles of more than the average length was also found. The average weight of this class of species is in the range of 68 kg to 80 kg. Even though the breeding maturity is completed when they weigh 16 kg, they continue to grow even after that. Strong lighting set up is necessary to captivate an alligator snapping turtle. The water temperature should typically be 75 degrees to 80 degrees. A heater is also necessary in the aquarium along with a thermometer. They are largely sedentary but also enjoy hunting preys. They feed on preys such as fish, worms, shrimps, feeder fish, minnows etc. They feed on dead animals too. They can also feed cooked beef, chicken and fish. Purchased turtle fish are also a good idea. Are they Carnivorous or Vegetarian? They are carnivorous. The strong jaw helps them to hunt easily. They are one of the fiercest hunters when it comes to catching preys. Mazuri and RepTomin are some of the good brands of turtle food. Omega One too has a brand in this space. Typically they live in fresh water. Nesting females come to shore at times. Alligator snapping turtles are found only in the United States. East Texas, western Illinois, Southern Indiana, Western Kentucky are home to these species. Mating of this species takes place yearly. The female produce eggs in the range of 10-50 at one go. The whole process takes one-two months. The gender is decided by the temperature at which the eggs are laid. The female turtles build their nests 50 yards from the edge of the water, the reason being-drowning of eggs and preventing them from predators. Incubation time varies from 80 to 120 days. Mostly the new born happens in early fall. Adult snappers have no predators other than humans. We are a major threat to their existence. The harvesting of their meat have resulted in major reduction of their number over the years. The alligator snapping turtle has been given the status of endangered species by some of the states in the United States. For instance, states such as Illinois, Indiana and Missouri are few states where these species are protected by law. The ICUN has given them the status of threatened species a few years back. This has been done to discourage export and harvesting their meat. Estimates suggest that their population is slowly decreasing. Lastly we the age old question of is a common snapping turtle the same as an alligator snapping turtle is addressed below in the video. Check it out and enjoy! I hope you learned something today! Let us know in the comments if you have one or if we missed something. We love hearing from you! What next... Check out the below!